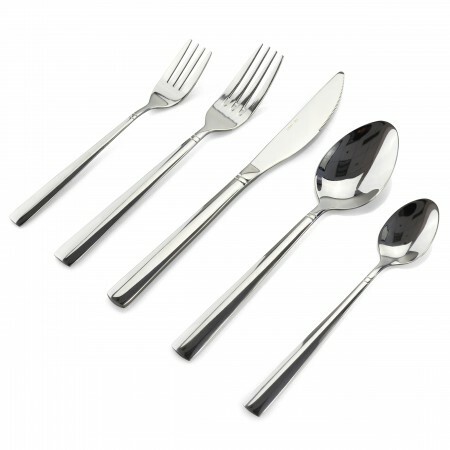 20-piece 18/0 stainless steel flatware set, services for 4. Mirror finishing. Simple, trendy and dignified design. Durable construction, Easy to maintain. Dishwasher-safe.